Morocco is a bridge to Africa, to the Middle East, and to the Muslim world, said U.S. Ambassador nominee to Rabat David T. Fischer during confirmation hearing at the Senate Foreign Affairs Committee. “Building a strong relationship with King Mohammed VI will be paramount as we strengthen our collaboration from a foundation of trust”, added Fisher in his statement. “Morocco is one of our oldest allies and, as you know, our Treaty of Peace and Friendship with Morocco, ratified in 1787, is the longest unbroken treaty relationship in U.S. history. Our friendship and continued economic, political, and security collaboration are vital and must be strengthened”, stressed the nominee of Donald Trump. “With my business background, I appreciate the tremendous opportunities for trade as exports from the U.S. to Morocco have tripled in recent years”, he said. “Morocco, one of the few countries with which we have a free trade agreement, is also a gateway for U.S. companies to enter other markets. If confirmed, I would work closely with this Committee, as well as relevant departments and agencies, to expand opportunities for U.S. businesses”, he underlined in his statement. The United States and Morocco stand firm in advancing religious freedom and rooting out violent extremism, he said, describing Morocco as “an active and capable partner” of Washington. As one of the first African countries to join the Global Coalition to Defeat ISIS, and as co-chair of the Global Counterterrorism Forum, “Morocco plays a global role in the fight against terrorism”, he stressed. “If confirmed, I will seek to further strengthen our security cooperation with Morocco”, added Fischer pledging to endeavor to “strengthen Morocco as a secure, prosperous, and vital ally of the United States of America”. Mr. Fischer is a prominent businessman and community leader in Michigan. He has been involved in his family automotive dealership group and related entities since 1967. He became CEO and partner in 1975, and principal owner in 1978. 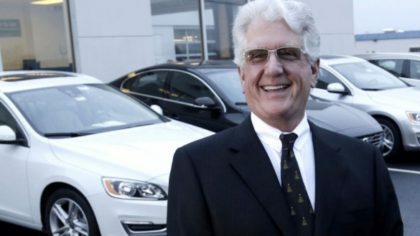 Known today as “The Suburban Collection,” Mr. Fischer’s organization has become one of the largest privately held automotive dealership groups in the United States. It represents most automotive manufacturers, both domestic and foreign, including over 90 active, automotive related, brother-sister entities. This organization operates state-of-the-art collision centers, accessories distribution centers, fleet management and retrofitting services throughout the United States and Canada. Recognized for his leadership, problem solving and fiscal management, Mr. Fischer has forged and managed a large organization of highly talented and loyal personnel, while dedicating time and resources to the welfare of his community, the arts and education through the support of 80 charities in the past 24 months alone. Mr. Fischer earned a B.A. at Parsons College in Fairfield, Iowa, in 1967 and participated in the CEO President’s Seminar at Harvard College, 2015-2017.